Kuli Kuli works closely with moringa farmers in Nicaragua to create sustainable economic development. 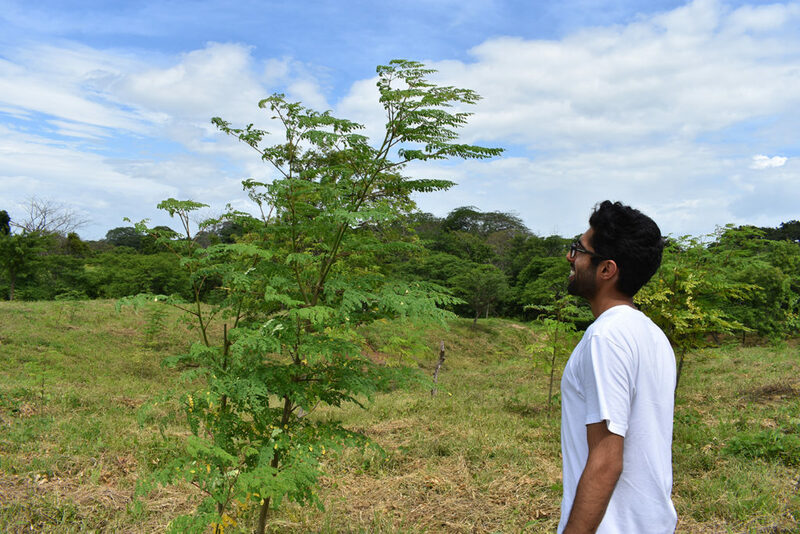 Meet a Nicaraguan-owned family farm that provides jobs, stability, and organic moringa for the local community. 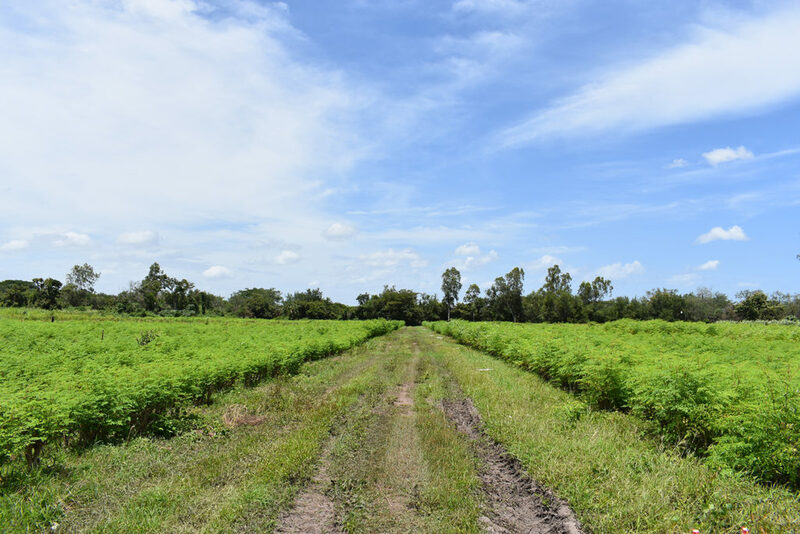 Just a few miles from the coast of Nicaragua sits a fertile farm home to over 50 million Moringa oleifera trees. This family farm provides over 150 Nicaraguans with stable jobs and health benefits in an area with low employment. With an average household size of 7 people, Nicaragua is the poorest country in Central America. The average Nicaraguan lives on US$1 a day and 30 percent of Nicaraguans live below the poverty level. 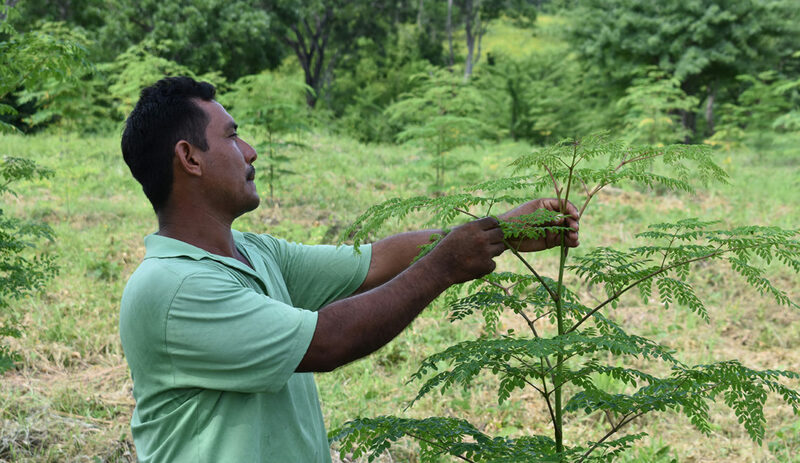 Originally a cattle farmer, Jacobo used moringa trees as fence posts and fodder for his cattle. He noticed that his cattle gained more weight, were healthier, and needed less medical attention than his neighbor’s cattle. With some research, Jacobo realized that moringa was the answer. His first formal tree plantation started about 10 years ago. Due to moringa’s fast-growing nature, Jacobo had enough seeds to start an intensive leaf production after just the first harvest. He’s continued to plant moringa to keep up with the increasing demand. 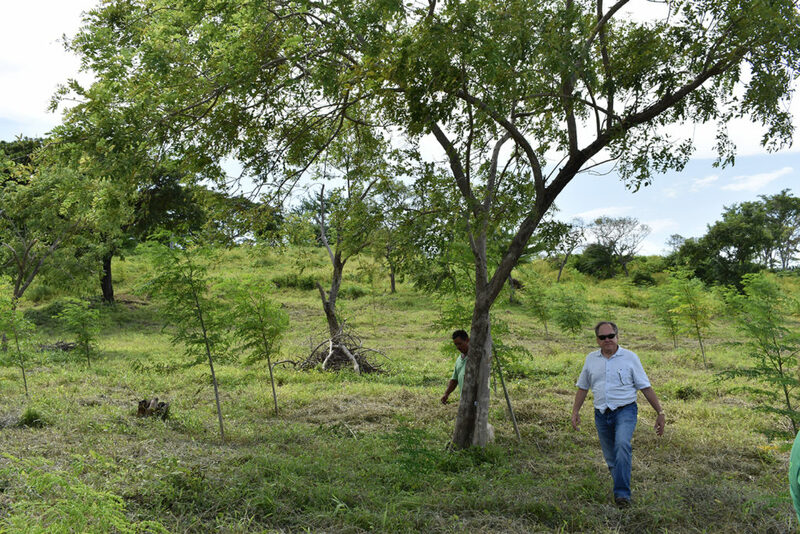 Jacobo has planted 50 million moringa trees for leaf production, and another 150,000 for seed oil production. His farm uses the same species of Moringa oleifera grown for years in India and around the world. It was brought to Nicaragua in the 1920’s by an American couple as an ornamental tree and for use as poultry feed. Jacobo also uses a specific breed of Moringa oleifera that has longer seedpods with higher seed counts for oil production. “We feel good working with Jacobo because his farm provides a high-quality source of employment in an area with low employment rates,” says Kuli Kuli CEO Lisa Curtis. Jacobo pays his employees 15 percent above market wages along with health care, benefits, bonuses, and vacation time. Jacobo’s farm took less than two years to become USDA and EU Certified Organic. His family raised cattle for three generations, so the land’s soil is completely organically fertilized. When they converted their grassland to a moringa farm, there were no traces of chemicals, insecticides, fertilizers, or heavy metal. Like broccoli and kale, moringa is part of the Brassicales order and can absorb anything that is in the soil, like lead and trace metals. This is why organic moringa is so important. 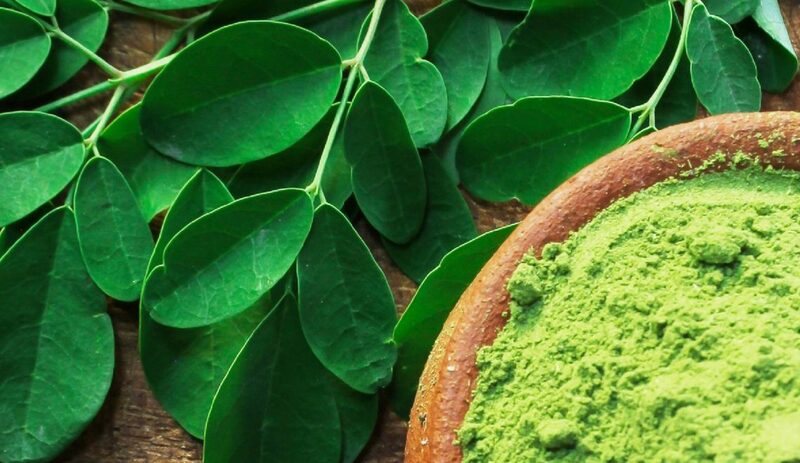 To become a supplier for Kuli Kuli, a producer’s moringa powder needs to be high quality and nutrient dense. The farm must also meet Kuli Kuli’s demand, benefit locals both financially and socially, and positively impact the environment. Jacobo uses solar power and a bio-gas machine for energy needs. He also composts old moringa trees to fertilize the land and has built water reservoirs to help irrigate the farm. Irrigation with sprinklers and water cannons is computer controlled to use the least water possible. Jacobo employs close to 155 people who all live within an hour’s drive from the farm. In addition to providing jobs for Nicaraguans, his farm also partners with local organizations to provide them with organic moringa seeds. Locals are then able to sell their moringa seeds back to the farm to earn additional income during times of drought. 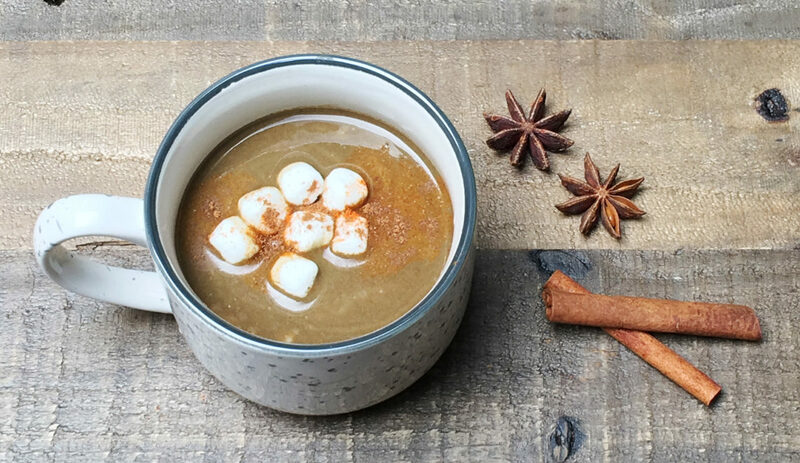 In addition to supplying Kuli Kuli, they also sell their moringa powder to local markets and allow local schools to use their farm for events. 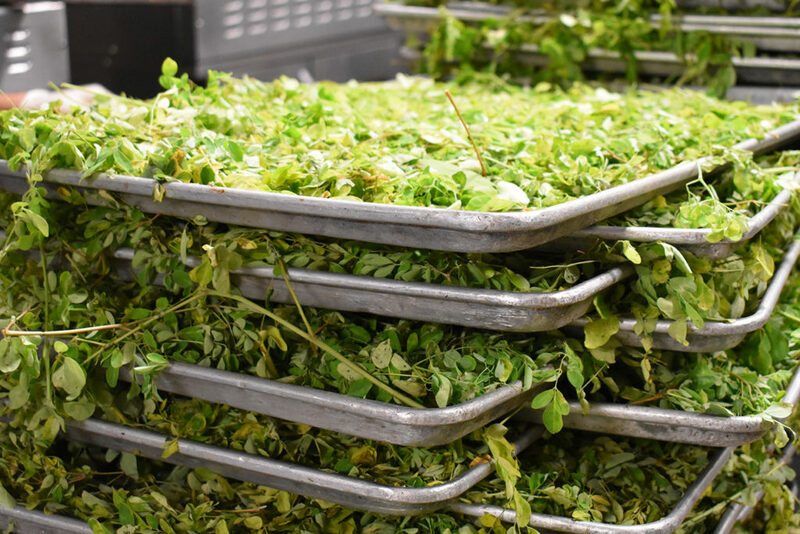 Kuli Kuli works with select moringa suppliers in the developing world to improve moringa production for export as well as invest in local job creation, nutrition education, and tree planting. Through regular visits to our farmer partners, Kuli Kuli seeks to better understand the benefits, challenges, and the socioeconomic and environmental impacts in growing and marketing moringa. Love this, Reason why I buy your moringa! We’re glad you enjoyed the post! Thank you for your support.